In what could, if we’re feeling charitable, be interpreted as a refreshing burst of corporate honesty, the AMC theater chain might soon be skipping past all its various movie-going upsells like 3-D, IMAX, and chairs that are actually comfortable to sit in, and just start charging people more for tickets to big-budget blockbuster movies. (To be fair, they’ll probably still offer all that other stuff, too.) 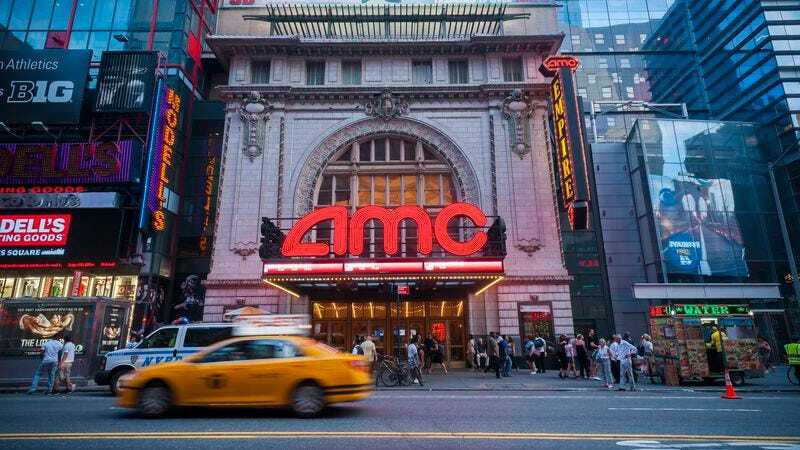 The news comes shortly after AMC purchased European chain Odeon & UCI, which already practices the variable pricing model, charging more for “tentpole” movies in their first few days of release. Per AMC CFO Craig Ramsey: “[Odeon & UCI] are further advanced in variable pricing, where tentpole movies are priced up on release. That’s something we’ve talked about in the U.S. We expect to learn a lot with what they’ve done. We think it will position us to start having those conversations about pricing opportunities in the U.S.” Meanwhile, millions of American movie-goers just heard the terrifying words “pricing opportunities” coming from the money guy for a major theater chain, and started working out ways to smuggle even more candy and snacks into their next showing of Doctor Strange.